Photographs of the Royal Danish Ballet from the acclaimed exhibition “The Essence of Ballet” by fine art photographer Ingrid Bugge will go under the hammer at a special auction in December. 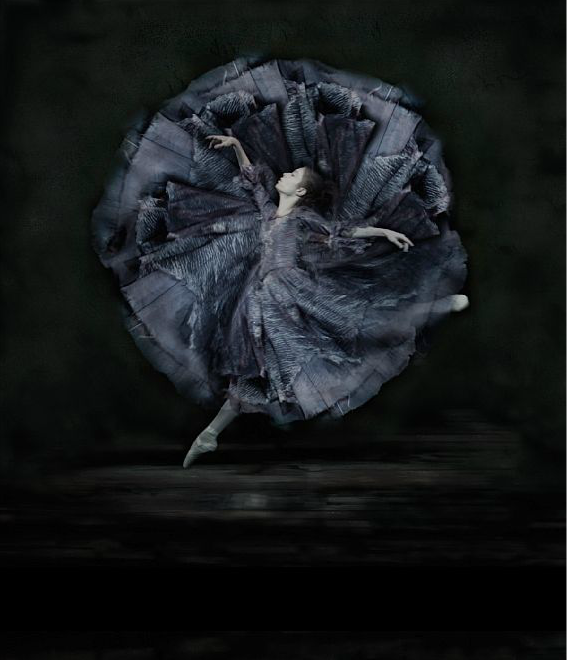 For two years, the Danish fine art photographer Ingrid Bugge followed the elegant dancers of the Royal Danish Ballet. The result this spring included both an impressive art book as well as the highly acclaimed exhibition at Silkeborg Bad. All the works from the exhibition will now be on sale at a special auction on 9 December. The pieces have their own photographic expression entirely and are not just one-to-one representations of ballerinas pirouetting. Powerful grace and impressive lightness is to many people part of the essence of ballet – as are the narrative movements. How can one even represent this in a single shot? Ingrid Bugge has in her own fascinating way captured the light, graceful movements in her photographs of the Royal Danish Ballet. Several of the photographs have an almost painted expression inspired by, among others, Leonardo da Vinci and Edgar Degas. Others look like modern day versions of silver coloured ambrotypes, a classic photographic technique from the 1800s using very strong black and white tones. 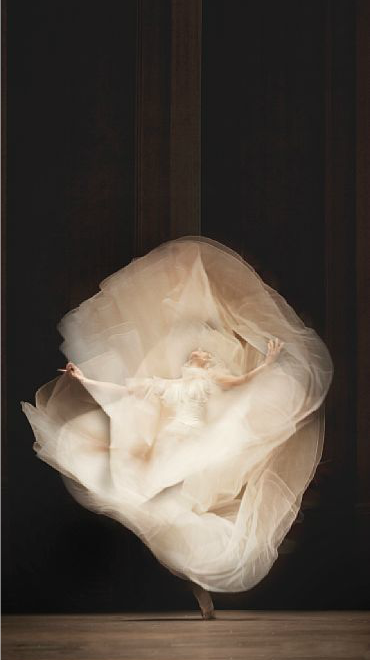 Bugge has again and again captured the ballerinas’ delicate tutus in motion and transformed them into flower-like rosettes on a ballerina stem, and she has interpreted the dark and light elements of the classical romantic ballet performances through the use of black and white contrasts and the negative technique. She has ”repainted” the narrative movements with her camera, making the figures seem like they have been captured in mid-flickering motion. And this has also been Bugge’s intention with the photographic layered decoupage technique. The auction presents 38 photographs in varied formats and expressions, which were taken during more than 10 different performances at the Royal Theatre in Copenhagen – from ‘Enetime’ to ‘La Bayadere’.